These days, there are multiple options to build your own website. One of the most popular options for building your website is using WordPress. There is a lot of themes available that will give you the flexibility to build a website. BuilderAll (BA) is part of that last group, and this review will dive deep into all of the different options available within the software. I’ve experimented with several page builders, and before I was introduced to BA, I primarily used ClickFunnels and WordPress. However, I discovered that both platforms were lacking as a complete system by themselves. ClickFunnels has an amazing page editor that anyone can learn very quickly, but it is designed to build sales funnels. So, when I learned about BuilderAll, I became excited at the possibilities it had to bridge that gap. I’ve been using BA since August 2017 and I feel I’m able to give an honest review. 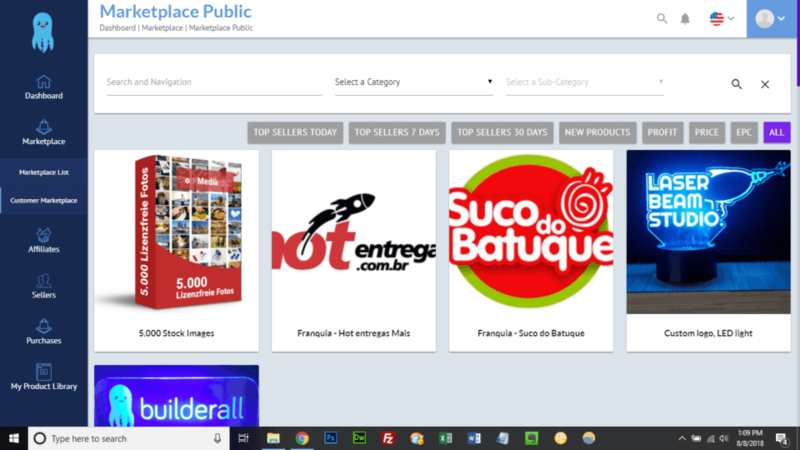 The company originally started in South America 5+ years ago by Erick Salgado to serve the needs of his parent company,”Best In My Neighborhood”. So Erick set out to build an all-in-one digital marketing platform and called it BuilderAll. This system provides individuals and businesses with the ability to have beautiful websites, blogs, and sales funnels within one platform. Here is a quick 48 second video overview. Websites built with the pixel-perfect drag and drop editor ARE NOW mobile responsive! BuilderAll is committed to excellence and their recent interface updates and new add ons prove they mean business! $49.90 per month which gives you all features and the business opportunity. So, how does this price compare to other page building software or even a custom WordPress site? The primary drag and drop editor uses what they call pixel-perfect technology. This allows the user to take any element and drag it to any spot on the page and that is where it will be on the live website. With the latest updates to the pixel perfect editor your website is mobile responsive. You can also control the width of each column by setting a number from 1 – 12. This is familiar to me because I’ve used the popular Bootstrap Framework for building websites in the past. Otherwise, all of your text and images will pile up on top of each other in mobile view. 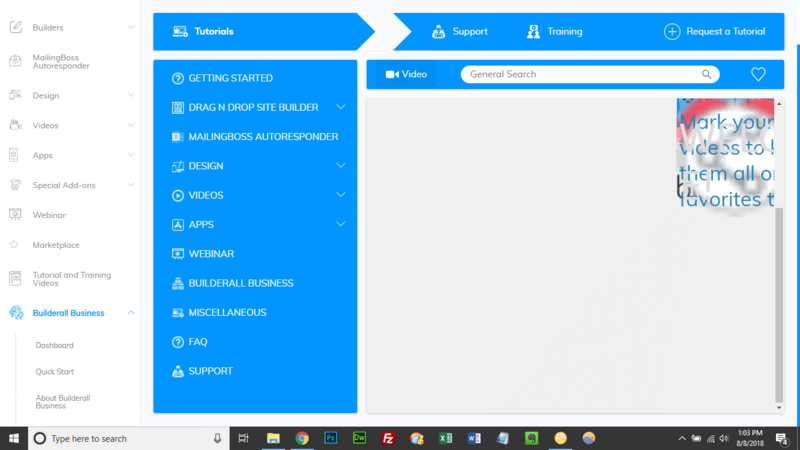 I can tell you that its a lot easier to grasp the mechanics of the new Drag n Drop Responsive Builder. plus, you only have to build your web page once. I personally like this editor better because it feels more like the ClickFunnels editor which I’m used to. However, either editor is great and mobile responsive. Now that this builder is responsive your website will look fantastic on any device. The responsive drag n drop builder is brand new as of February 2018. However, one feature that is better than ClickFunnels is you can change how many columns are in a row. This saves time and gives a lot of flexibility. From my experience using it, this builder operates like a WordPress theme that gives you a bunch of options to adjust. The Apps section opens a new tab and takes you to the App creation area. The whole interface received a new layout and some visual flare recently. Navigating Mailing Boss is confusing at first though it is easier than before. It’s also nice to have a generous limit of 10,000 subscribers. Most email platforms charge hundreds of dollars to have a list of 10k subscribers. If you have a list larger than 10k, you can upgrade for more subscribers in the full menu. Also, with the relaunch in July 2018 Mailing Boss can now be purchased separately as it’s own product. If you want to take advantage of this offer click here. As a web designer, I primarily use Photoshop to create and edit my graphics. I also own PowerPoint but I don’t really use it. So for me, this section of BA doesn’t offer much, however, for the average website owner I can see a lot of value. This is a new tool that was added during the relaunch. I haven’t had time to use it yet but it looks like you can do some cool rotating 3D graphics. Video has become more critical for online credibility and as the preferred media choice for most visitors to a website. The videos section provides an animated videos tool and floating videos tool to aid in providing more value to your website visitors. The browser notifications app allows you to send messages to visitors through their browsers even if they aren’t on your website. The SEO on page report tool allows you to measure how strong your SEO optimization is for a particular keyword. The tool produces a list of items to optimize your web pages for the keywords you’re targeting. You can create tests for students and add teachers for your course. You can even share your courses with the BA community! This is a great tool to use as an exit pop up for people leaving your website so you can give them a reason to come back! This area offers additional products for BuilderAll users that will enhance your account. 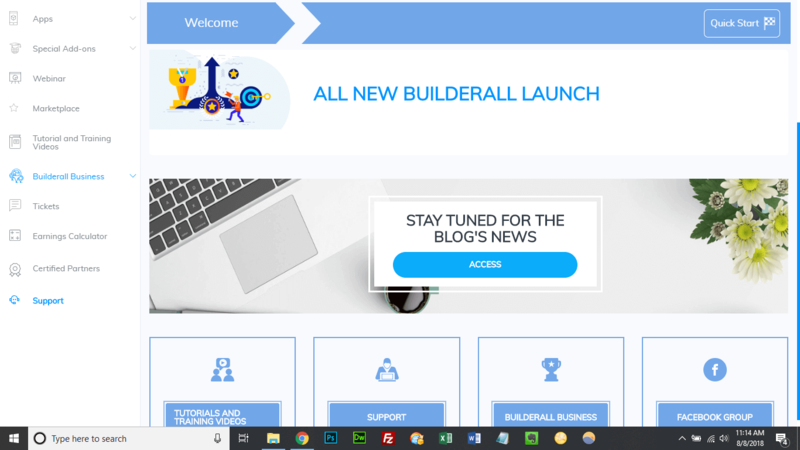 The best example of this tool in action is the launch webinar that the BuilderAll team did on July 27, 2018. You can watch the launch webinar by clicking here. The webinar is almost 3 hours long and goes into more details about all of the new stuff in digital marketing platform! This area will become a huge place for people in the BA community! The tutorial videos section is where you go to learn anything you want about BuilderAll. There are over 400 tutorial videos that teach you how to use all of the tools inside. You can even request a custom tutorial from the support team! The training video section shows how to master BuilderAll in a short period of time. The longest I’ve had to wait is about three days and the shortest response time is about two hours. This calculator used to be in the business section but it makes sense they moved it out. 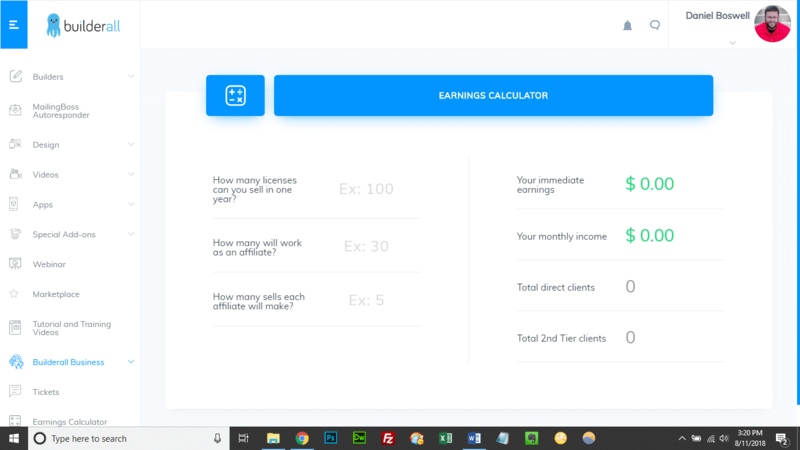 It gives a clear estimate of what you can expect to earn as a BuilderAll affiliate. Each consultant charges their own rates so you will have to get quotes from several and decide which one has the most value. The Support section is the area of your admin panel to go if you encounter an issue using the system. Choose the category related to your issue and you will be see a series of answers. If none of the answers meet your needs you can open a support ticket. Outside of the large suite of tools available, there are some other benefits for members. If you have a question or a problem with BA, the Facebook community should be your first stop. You will likely find another user who has the answer you are looking for. Combined with the Support area you should get the answers you need. Cheap website tools usually provide cheap looking results, but with BA I see they are making a top quality product. This system will be another option to use on my client projects moving forward. If you found this BuilderAll review helpful, sign up for while the price is still this good! 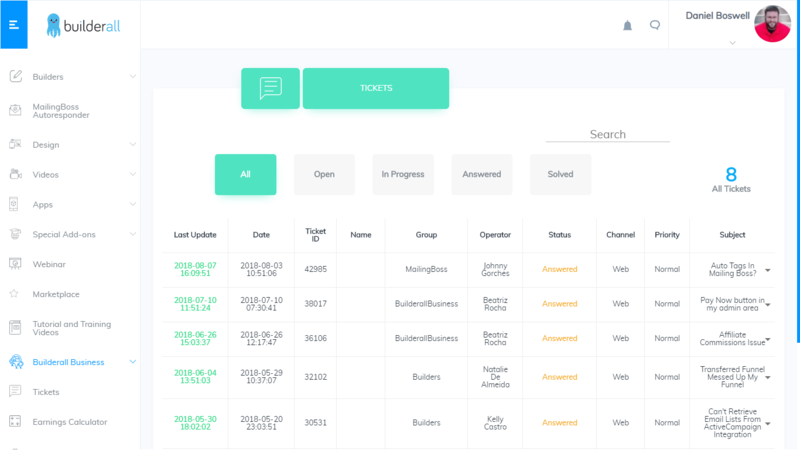 BuilderAll offers users over 26 business tools within one platform. With their new responsive builder or their updated drag n drop pixel-perfect responsive builder, you have the freedom to build almost any kind of website you can imagine. 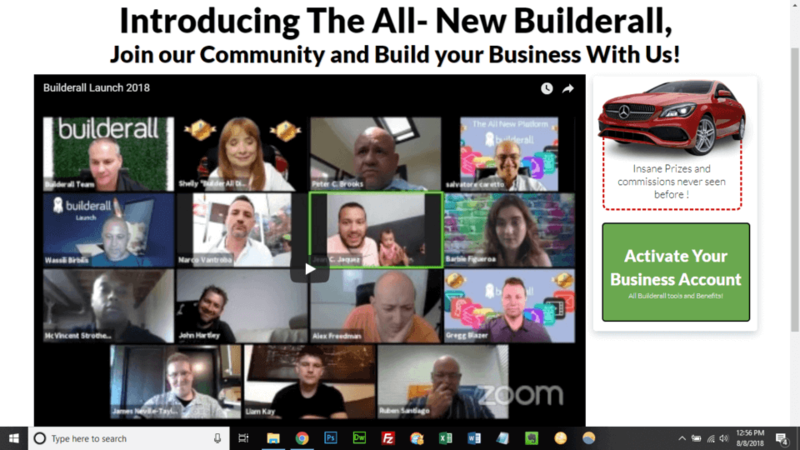 BuilderAll isn't perfect and has room to grow, but the commitment to an excellent product and the different pricing levels make it a worthy competitor to other platforms like Wix, Squarespace or ClickFunnels. 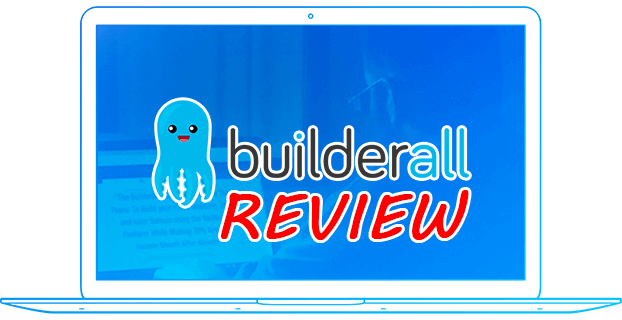 This BuilderAll review is based on my personal experience using the software. If you purchase BuilderAll through any link on this page, I will get a commission. 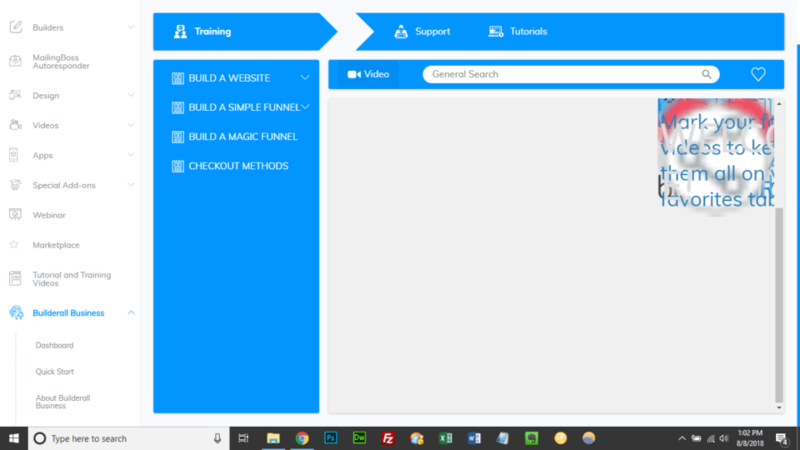 Which one do you think is better – Clickfunnels or Builderall? 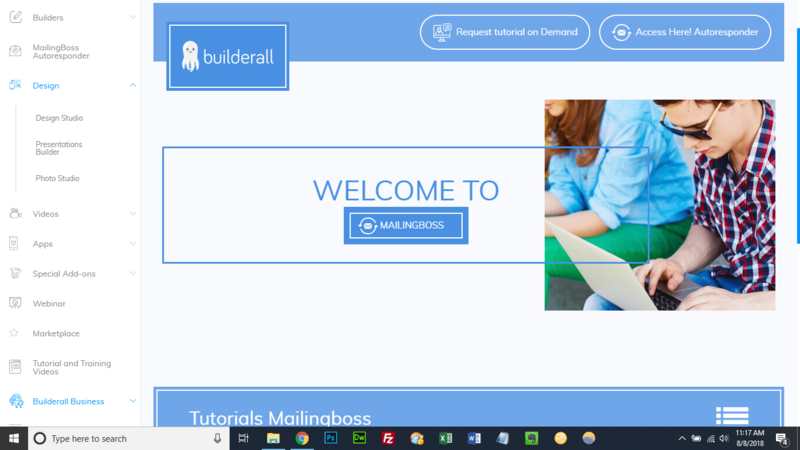 I think that if you want to keep your website, sales funnels and email marketing in one place, then BuilderAll is one of the best options around. May you and your business ventures be blessed this year! Thanks for the terrific thorough and honest review. But you could build the website out in your account and transfer it to their account to go live. I just updated the review two days ago so please come check out the updates and new pricing structure.